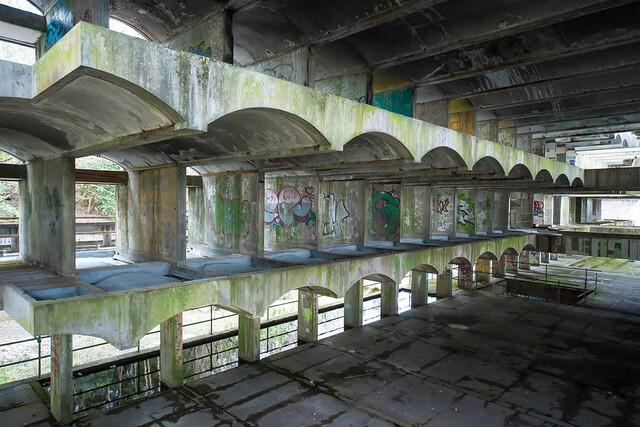 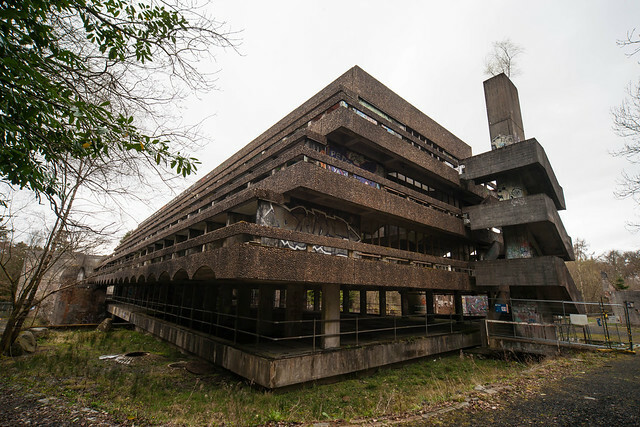 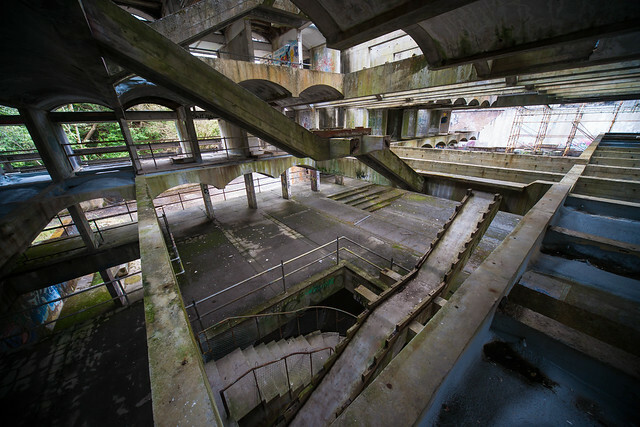 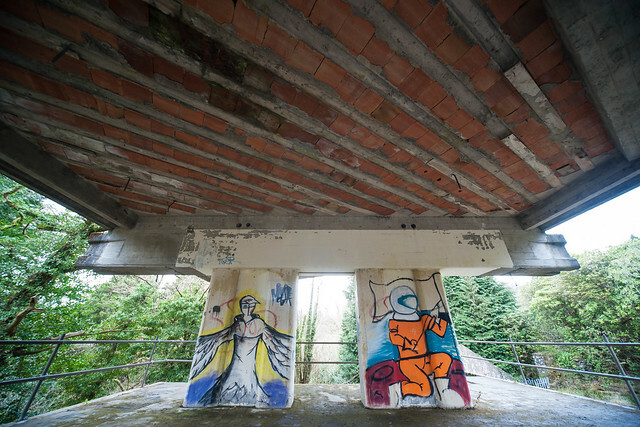 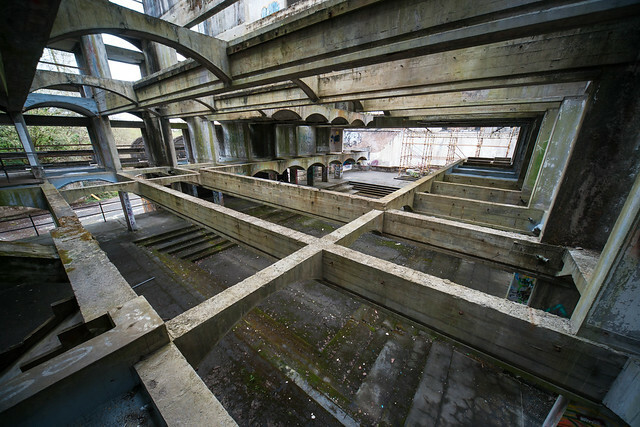 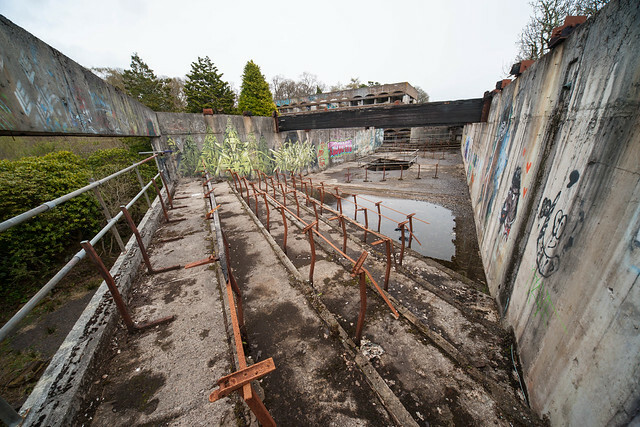 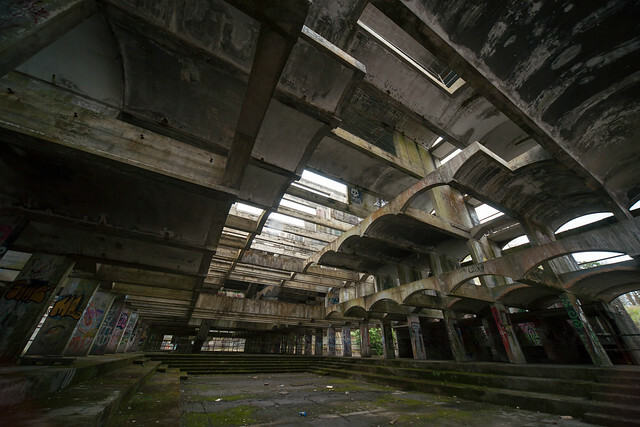 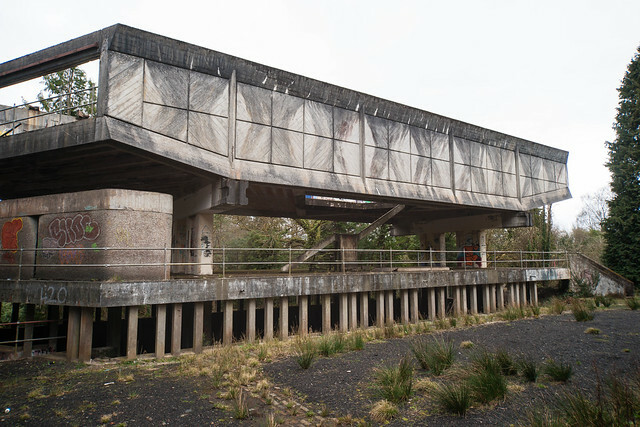 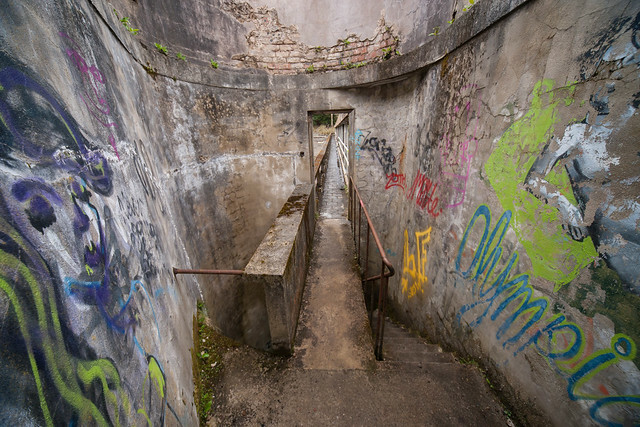 It’s 10 years since my last report on the St. Peter’s Seminary in Cardross, and nice then quite a lot has changed but nothing has changed. 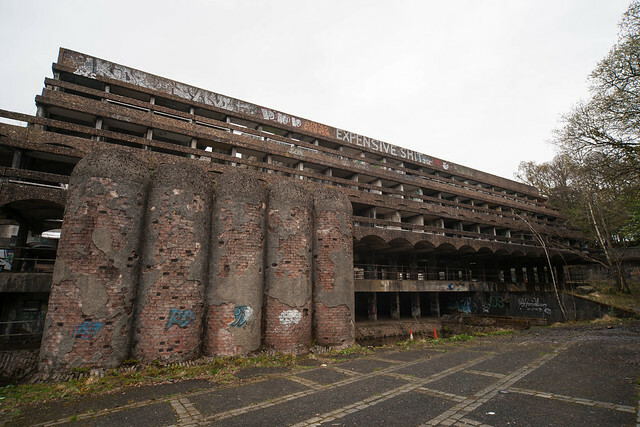 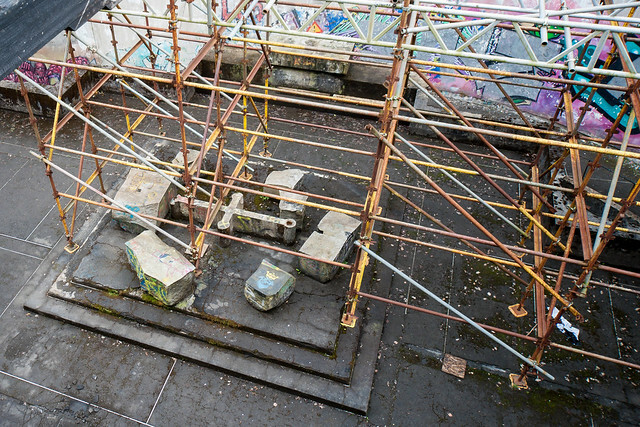 The site was decaying for a long time, and it even looked as if demolition was on the cards, but then the arts group NVA took it over. 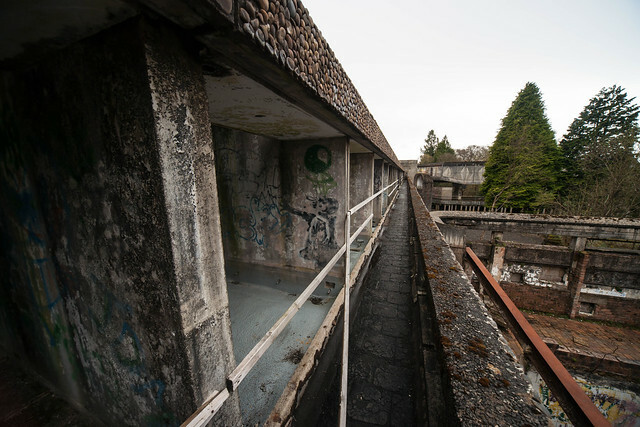 They did a lot of work cleaning up and stabilising the concrete structure of the seminary, and although they did remove all the remaining wood they did preserve it for the future. 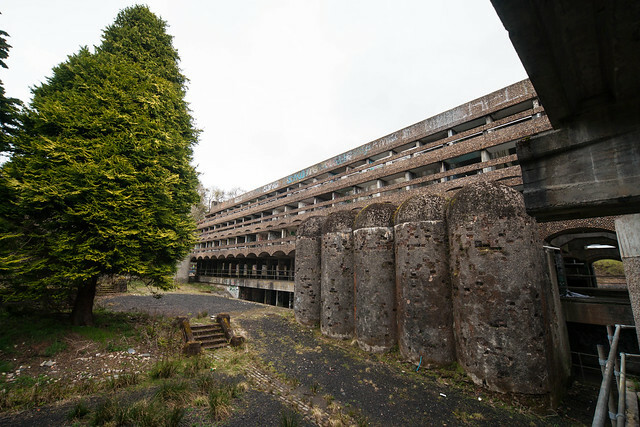 NVA even produced Hinterland, a fantastic light and sound show, and with an accompanying book with hopes for proper redevelopment it looked as if St. Peter’s was saved. 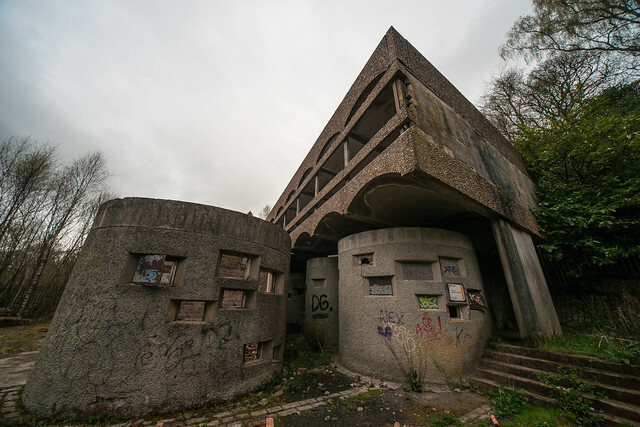 Sadly, NVA has now had to close down after they lost their funding from Creative Scotland, so the future of the seminary is once again in limbo. 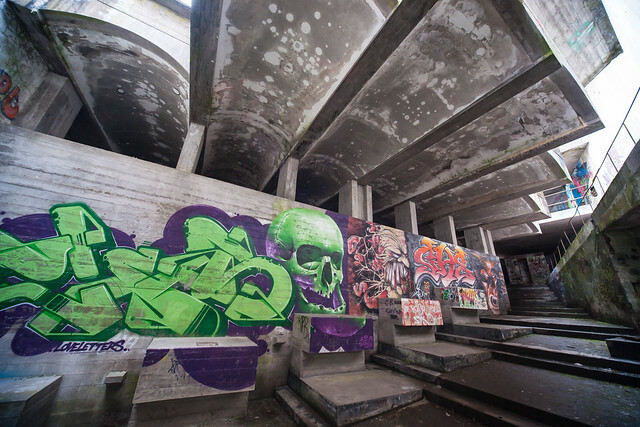 I’ve been back a few times over the years, but it was good to go back for a proper look at what it’s like now.